You’re about to get to a nice treat. 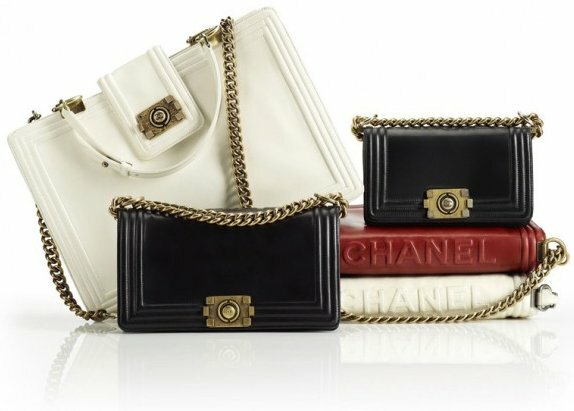 On this special post, we’re going to share the latest Chanel Bag Prices in GBP and in Euro. The prices in the UK are not the same as in Europe and that’s because of the differences in tax regulations and the currency exchange. And besides the prices, we will also uncover the style codes and the sizes. With barely 6 more days to go before the launch of Singapore’s very own #COCOCAFE, here’s your exclusive first look at what the interior will look like (even if it’s just an artist’s impression) and more importantly, 8 things you must know about this cafe-themed beauty experience that kicks off this Saturday. #1 – This is officially Chanel’s first ever beauty pop-up in Singapore and it’s happening at Visual Arts Centre @ Dhoby Ghaut Green from 8 April to 16 April 2017. How does one get there? It’s pretty much right smack at Dhoby Ghaut MRT Station’s Exit A & B. But if you’re driving or taking a cab, the exact address is #01-02 Dhoby Ghaut Green, 10 Penang Rd, Singapore 238469. #2 – Priority entry slots have been fully reserved, but you are still welcome to walk-in. Admission is free, so make it a fun weekend activity with the girlfriends or take a slight longer lunch hour than usual (and no, we won’t tell on you either). #3 – Created to be a truly one-of-a-kind beauty experience that mirrors the vibrant cafe culture in Paris, you can be sure every inch of this pop-up will be Insta-worthy. From subway tiled walls to bright neon signs to a dedicated Rogue Coco Gloss room you can actually step into, it’s best you bring an extra powerbank or two. #4 – You’ll be amongst the first few to get a first look at the LES INDISPENSABLES DE L’ÉTÉ from the Cruise 2017 makeup collection before the rest of Singapore gets it in May 2017. Other lines that you’ll be able to experience/try out include Chance (fragrance), Hydra Beauty(skincare) and Rogue Coco Gloss (makeup). #5 – Complimentary beauty services will also be held daily (subject to availability) and they will last around 15 minutes or less to help you save on time. We’re talking lip pairing (which colours work best for you), mini makeovers and even flash manicures using only the best that Chanel has to offer. #6 – For something more relaxing, check out the Hydra Beautysmoothing hand massage that will be perfect for those Insta-fatigued fingers. Especially after uploading your umpteenth COCO CAFE snapshot to Instagram. #7 – For those of you who have already done your online reservations, you’re in for a treat as far as drinks are concerned! Choose from hot coffees, hot teas, four different juice medleys and even a beauty bubble tea. No, we don’t exactly know what’s inside but we will definitely be trying that out too! #8 – And for those who make a purchase (any purchase) at the #COCOCAFE pop-up, you’ll also receive a complimentary slice of cake or a tart for dine-in or takeaway. And because there’s even more to be announced soon (including special fringe activities), do stay tuned for further updates! In the previous collection, the new Chanel Chevron Flap Bag was designed with a large CC logo, part made in leather and part in hardware. But today, the French Fashion house did a small modification; it’s now featured with the ‘Classic’ CC logo, and it looks much more like the Chanel Classic Flap Bag. Chanel Camera Cases are always good investments, especially when they’re made so different than the other designs. And Camera Cases doesn’t mean that you need a camera to purchase this bag, you can use it as an everyday bag as well. It’s spacious, structured and squared. This new bag is quilted and features an interwoven chain link strap for the elegant style. The zipper goes from the bottom left to the bottom right, so you can easily put all your essentials inside. But what’s more important is the extra leather strap in the center that functions as a closure – it comes with the new CC logo that’s made part leather and part hardware as well. Lovely, isn’t?